Seeking inspiration for contemporary lounge revamp. We are undergoing a whole house refurb, and seem to a bit stuck on the lounge front. - that lovely light to be gone! 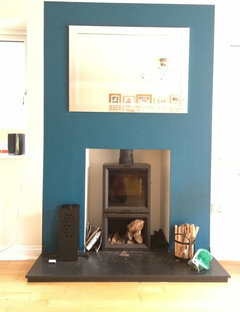 - replacing fireplace (still want open fire, struggling to find nice modern one, not keen on wood burner with pipe going into wall). Originally I wanted to put shelves and units either side of the fireplace, however as there is no chimney breast, I don't think that is such a good idea. 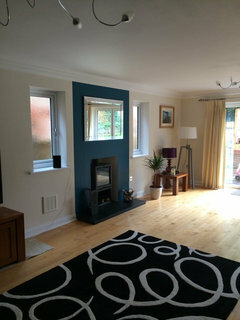 We are going for a modern look, and struggling for ideas - the tv will be staying, but do not want it to be the focal point. Have you considered having a designer look at the space? a single room redesign with 3D's would be great in the space and will allow you to get a cohesive look that works with the rest of the house and suits your needs. 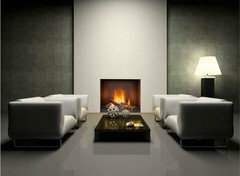 You could always build a chimney breast in if that is the look you would like. this would allow you to have some shelves beside it. 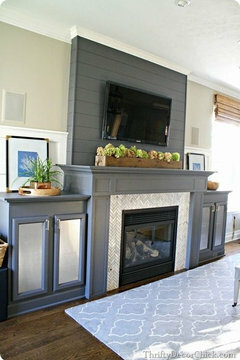 This is a recent project I completed for a clients living room - as part of a full renovation. They wanted more of a country twist on that space. If you don't want to go with a designer then I would begin with getting your ideas down on paper. What do you want in the space? What colours work best with the lighting? How will you be using the space? Once you have started with these questions you should start to see some ideas come together and a layout start emerging. Thanks Gina, we haven't considered a designer yet.... and the building of a chimney breast is somewhat expensive. I wouldn't build a real one but if it's something that works with your style it's very easy to build a faux breast to work with the design. Using brick slips in the inside would create a realistic look that you would never know the difference. That's obviously only a small aspect of the design. This would also allow you to build the TV into the breast without being an issue - or this could be installed elsewhere so as not to make it the feature of the space. As you're removing the radiator will you be installing underfloor heating or are you just moving it? 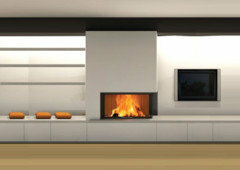 A lot will depend on the budget you have which is something that's looked at early on in a single room re-design. We do want a working fireplace, I had a heatas engineer come round the other day, saying it was going to be very expensive to build a chimney breast and basically told us not to bother! 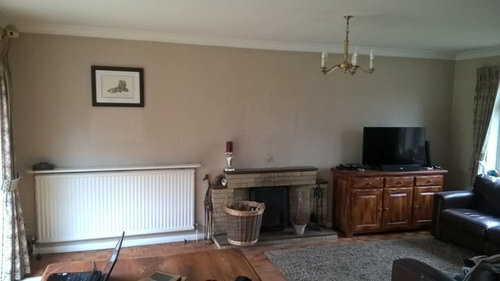 The radiator will be replaced by a vertical radiator on the opposite wall. Great. So if you don't want to build a whole chimney breast due to it being a working fireplace you could still either build out from what you have - to give some depth in order to create something beside it. 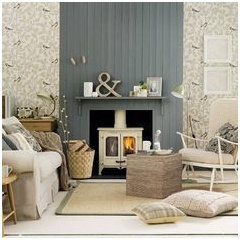 Alternatively you could create the illusion of a chimney breast using colour or wall coverings. @CreatePerfect certainly an interesting idea. @minnie101 I do like that, but the seating won't quite work that way. The furniture wont be staying, it is currently an l shaped living/dining, but we are having an extension so it will just effectively be a standard shaped room. Great example Lisa! It really adds impact using these small tricks to create visual interest. Fab work. Win a Hamper! Vote for the Best Before/After Project of the Year!